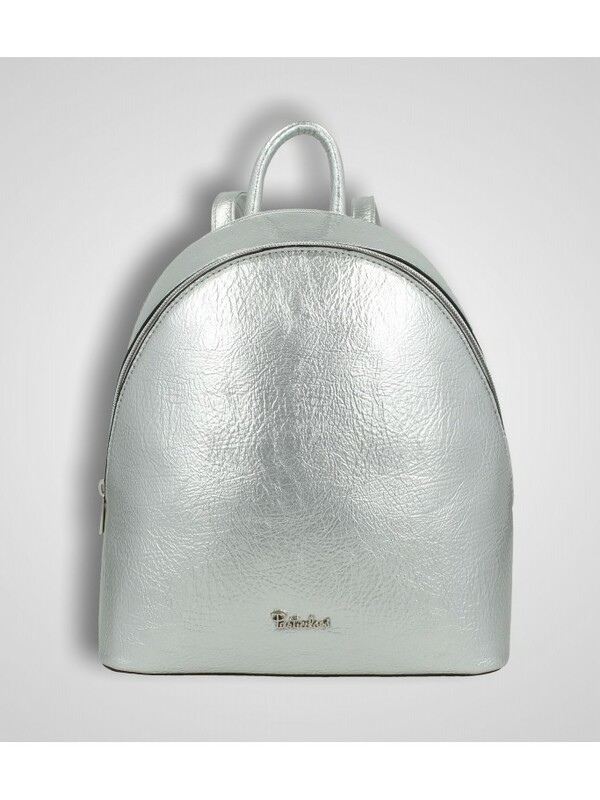 Handbag in metallic textured imitation leathers. In the front pocket, it features a removable flat pouch; It provides different compartments inside and it comes with an adjustable detachable shoulder strap. Crossbody bag in metallic textured imitation leathers. 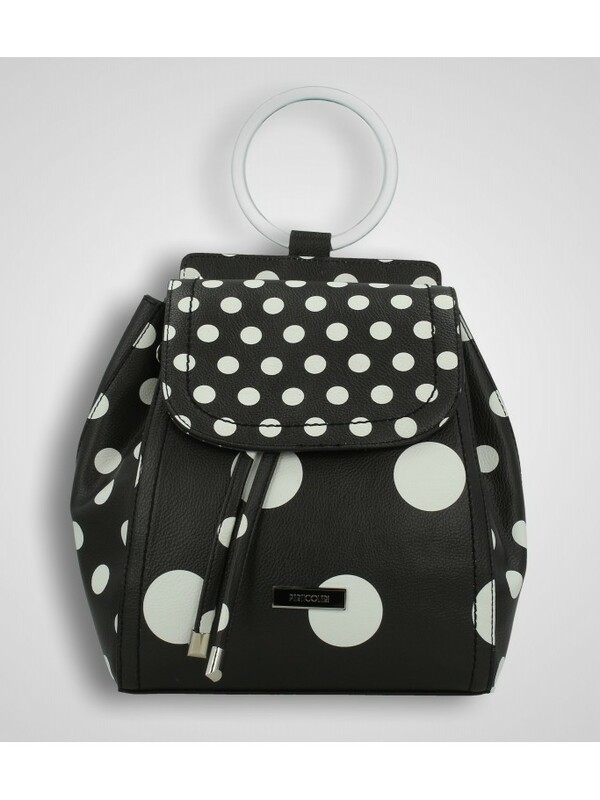 It features a front pocket and an adjustable shoulder strap. 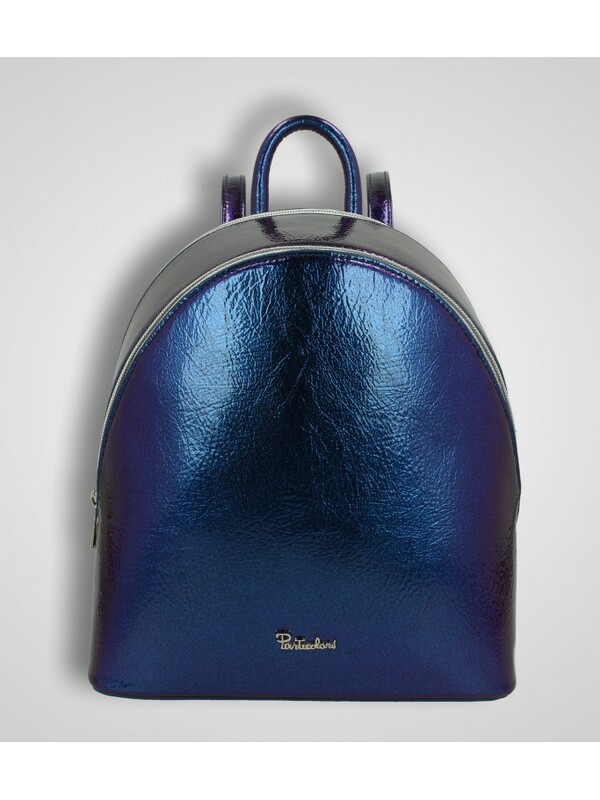 Crossbody bag in patent imitation leather. It features a multicolor striped zipper and checked lining with lurex threads. 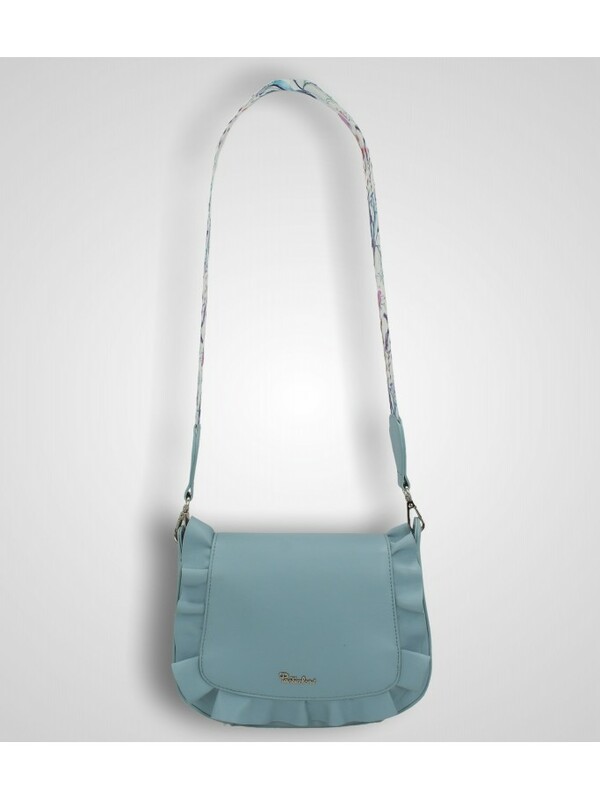 It also has tassel pendant and adjustable chain shoulder strap. Imitation leather shoulder bag with heart studs and LOVE print on the front. Closed by zipper of top. Adjustable long shoulder. Shoulder bag with micro-lines texture and wrinkles that give the bag a wanted "worn" effect. Chain details on the handles. Imitation leather shopping bag. The frontal part has an alternation of perforated textures and decorative trimmings. The decorative tassel is embellished by a cubic element with marble effect. In the back part it has a cloudy/vintage texture. Imitation leather shoulder bag. The frontal part has an alternation of perforated textures and decorative trimmings. The decorative tassel is embellished by a cubic element with marble effect. In the back part it has a cloudy/vintage texture. Imitation leather cross body bag. The frontal part has an alternation of perforated textures and decorative trimmings. The decorative tassel is embellished by a cubic element with marble effect. In the back part it has a cloudy/vintage texture. Shoulder bag in imitation leather. It has ruffles decoration around the flap and 2 shoulder straps: the first one in imitation grained leather and the second one is a webbing strap with striped print with hearts. Handbag in imitation leather. It has ruffles decoration around the flap and along the sides. 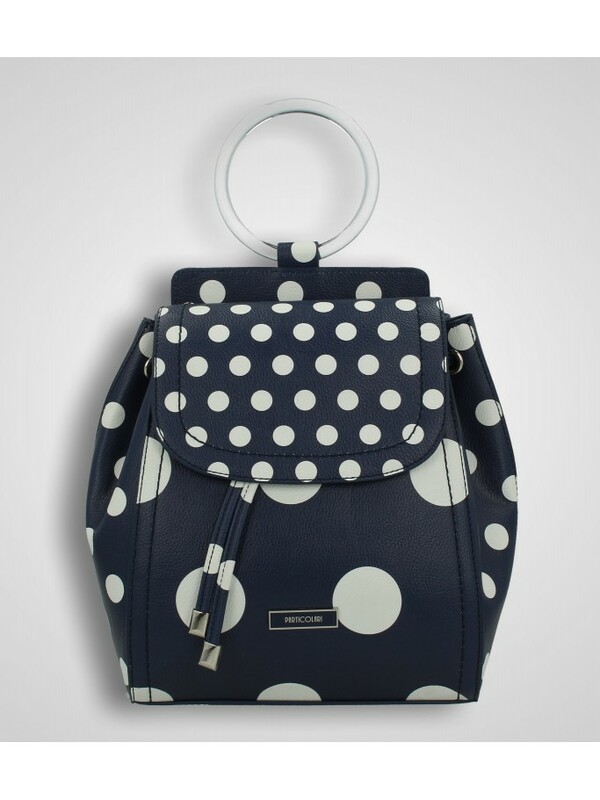 It comes with a detachable adjustable shoulder strap. Handbag in grained imitation leather with round wood handles. 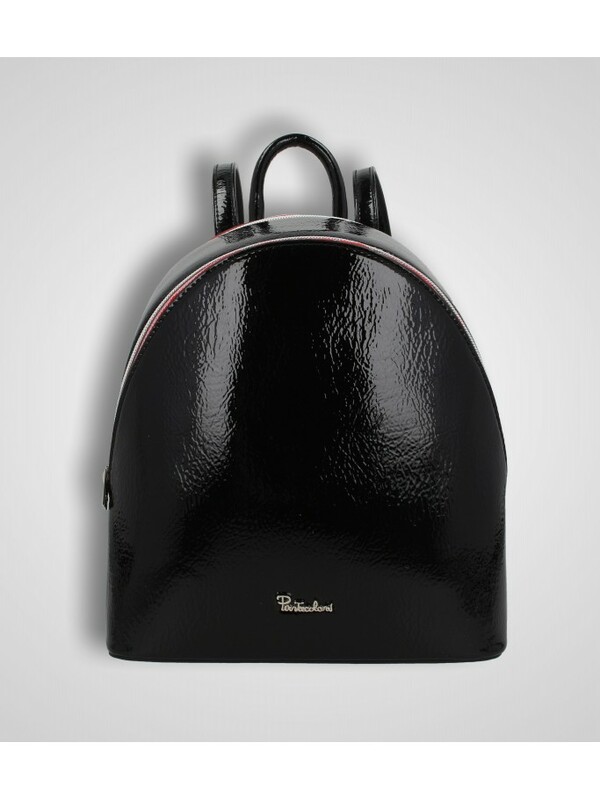 The bag is closed with zipper and it comes with a detachable adjustable shoulder strap. Borsa due manici in similpelle sfoderata con decorazione nodi. Chiusura con zip. Borsa a tracolla in similpelle sfoderata con patta e decorazione nodi. Tracolla regolabile. 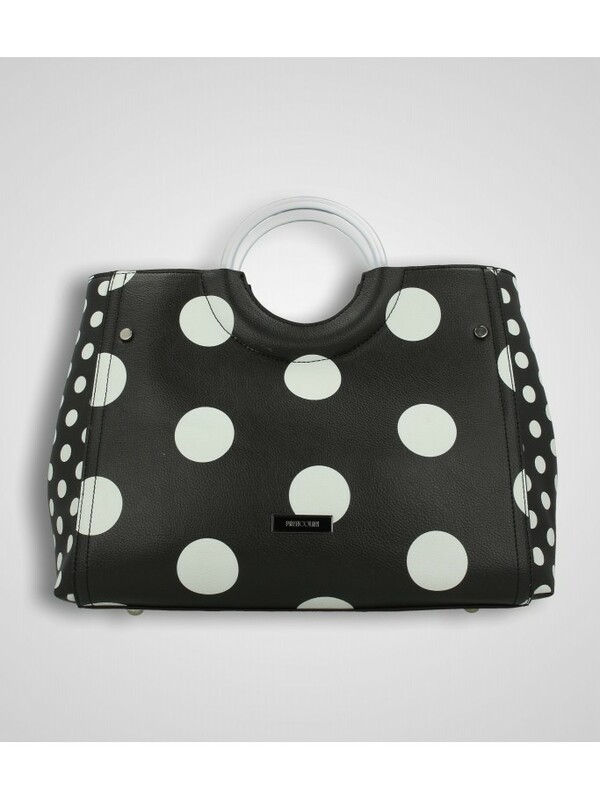 Handbag in polka dots printed imitation leather. It has round clear pvc handles and it's closed with zipper. It comes with detachable adjustable shoulder strap. 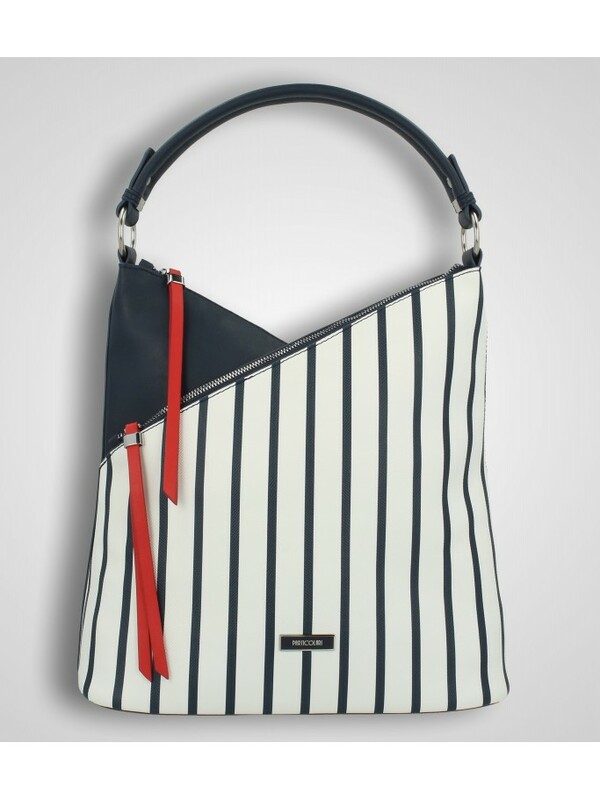 Imitation leather shoulder bag with stripes print. Two compartments closed by transversal zipper and middle compartment with magnetic button. Metal plate logo and enamel in the same color. 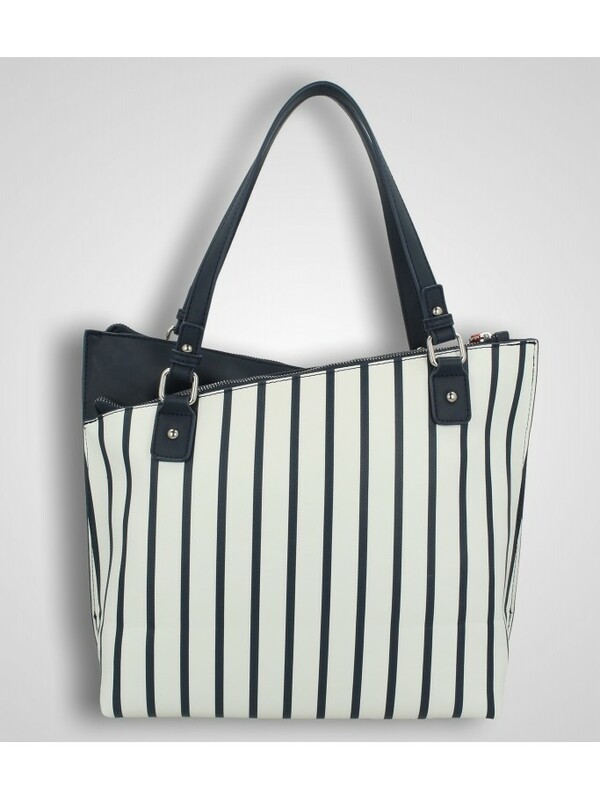 Imitation leather handles bag with stripes print. Two compartments closed by transversal zipper and middle compartment with magnetic button. Metal plate logo and enamel in the same color. 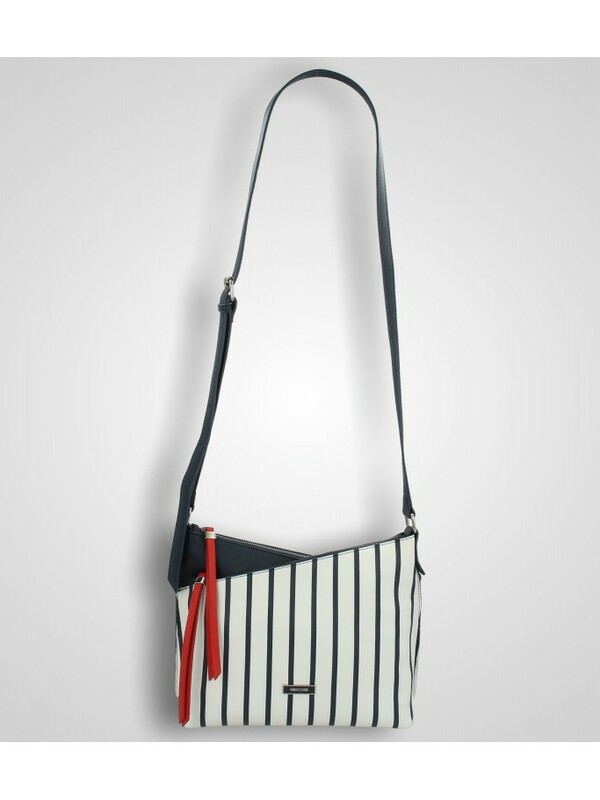 Imitation leather cross body bag with stripes print. Two compartments closed by transversal zipper and middle compartment with magnetic button. Metal plate logo and enamel in the same color. Canvas effect imitation leather shoulder bag. Two compartments closed by transversal zipper and middle comparment with magnetic button. Metal plate logo and enamel in the same color. Canvas effect imitation leather handles bag. Two compartments closed by transversal zipper and middle comparment with magnetic button. Metal plate logo and enamel in the same color. Borsa a tracolla in similpelle effetto canvas. Due scomparti chiusi con zipper diagonale e scomparto centrale con bottone magnetico. Tracolla regolabile. Logo a placchetta in metallo e smalto in tinta. 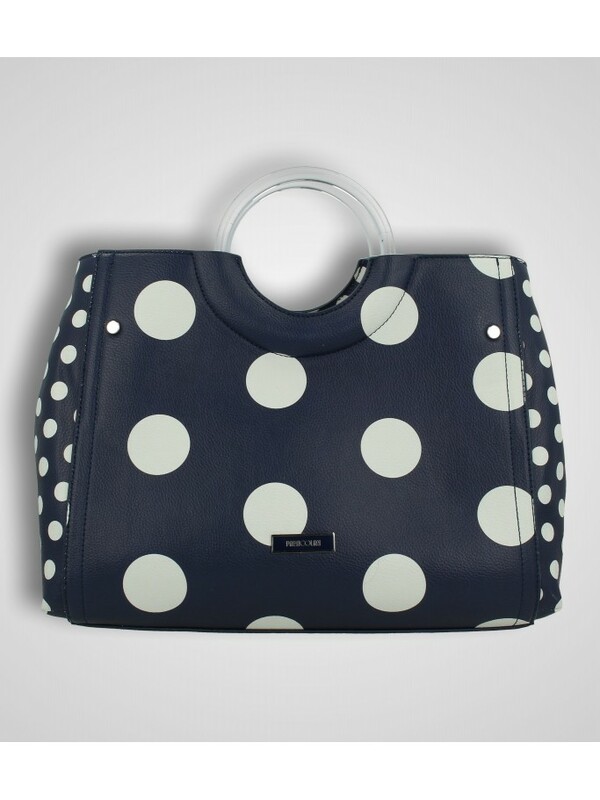 Printed Imitation leather saffiano effect hand bag;closed on the top by zipper. Transversal cuts on the front and back. Adjustable and removable long shoulder. Printed Imitation leather saffiano effect cross body bag;closed on the top by zipper. Adjustable long shoulder with chain parts. Pocket on the front closed by magnetic button. Printed Imitation leather saffiano effect shoulder bag closed by zipper on the top. Adjustable and removable long shoulder.